A specialist school for boys has opened a new £800,000 state-of-the-art building. 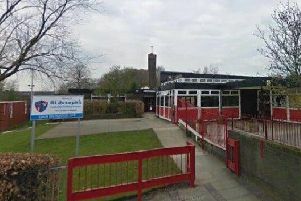 Aurora Brambles School in Leyland is a day school for boys with a variety of social, emotional and mental health (SEMH) needs. It is housed in a converted farm building in Longmeanygate, with a modern purpose built building adjoining it and has just opened a new building in the rambling grounds. The new development will mean an extra six classrooms for pupils at the school. Following the opening of the new classroom block, the school will cater for 80 pupils between the ages of nine and 16 for 38 weeks of the year. Headteacher Dan Creed said the new buildings would be a major boost to the school. He said: “The new classrooms will allow us to support even more young boys with complex communications difficulties. “For many students who come here they may have felt rejection and misunderstanding in previous placements. The school prides itself on providing personalised specialist education in a nurturing and safe environment that understands their needs and supports them to fulfil their potential. All pupils can access accredited courses suitable for their individual needs and sit GCSEs. Additional courses are also provided including vocational based training in motor mechanics, construction, sports studies, horticulture and land based management.